"An Insurance Adventure with Minimal Color"
Thus begins your time aboard the Obra Dinn, a 19th century merchant vessel that set sail with a full complement of 50-odd crew members and about a dozen passengers, and returned with none. None alive, at least. And it’s your job to figure out what happened. 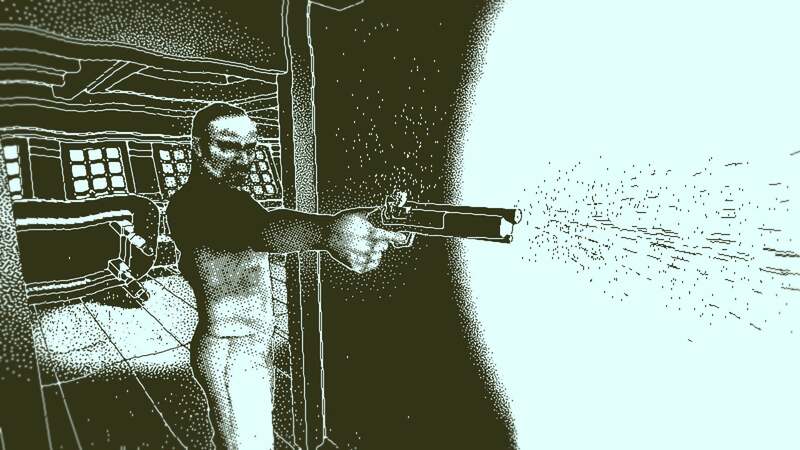 It sounds like the setup to a horror game, but Return of the Obra Dinn ($60 on Humble) is anything but. 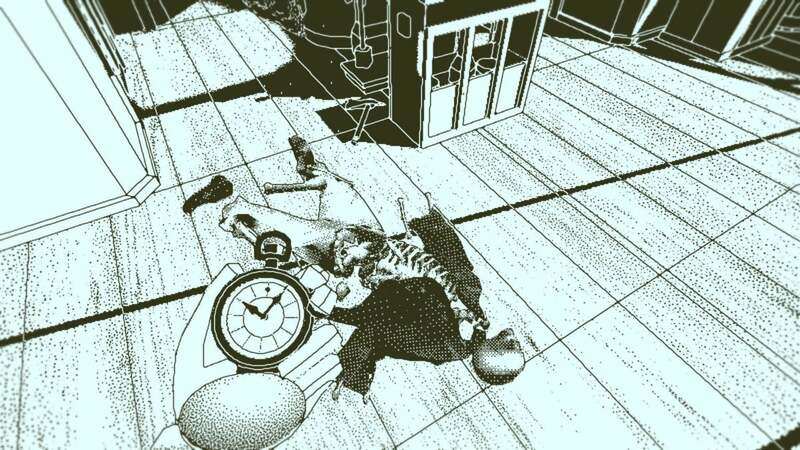 Maybe a bit macabre, but Return of the Obra Dinn is more of a detective story, one where you take on the role of a humble insurance agent. It’s the sort of “Creativity in Mundanity” I’d expect from developer Lucas Pope, who last brought us our 2013 Game of the Year Papers Please, where you played an immigration officer in a faux-Eastern Bloc country. Here, your job is to determine the fate of every person who set sail on the merchant vessel Obra Dinn. 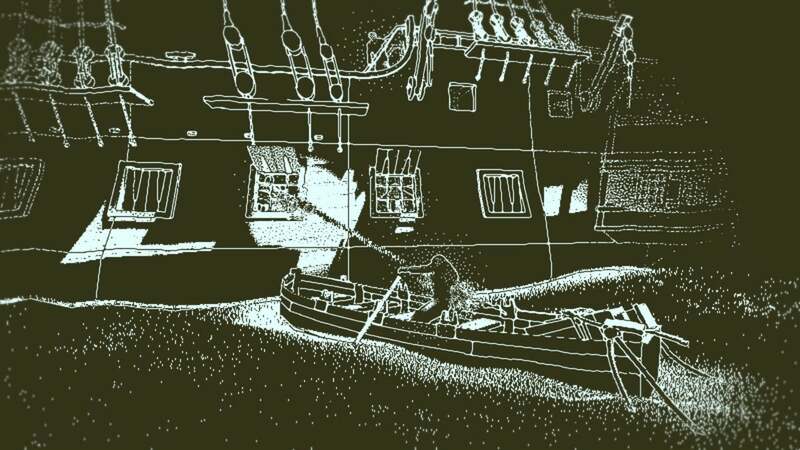 Along the way you’ll undoubtedly learn what happened to cause those fates, what sad series of events left the Obra Dinn crewless—but I stress, your understanding of those events is secondary to your knowledge of the facts, who lived and who died, and how the latter met their demise. You have some help, in the form of the aforementioned “outline” for a book, and a skull-adorned pocketwatch. No mere timepiece, the watch lets you travel back to the point a person died and witness their final moments. Upon boarding the Obra Dinn you’ll find a single, skeletal corpse lying on the main deck. The watch hums and you’re thrown back in time, first overhearing a heated conversation between the ship’s captain and some mutineers, and then seeing a moment frozen in time, a bullet passing through a man’s neck—the same man whose skeleton we just activated. With time stopped, you can walk around, view the scene from all angles, take note of the people involved. Then after a few seconds your character will open the book to the appropriate chapter and enter some information, including the location of the corpse you activated, a transcript of any conversations, and a depiction of the people present at the scene. There’s a fourth entry, too—a picture of the person (or occasionally persons) who died in that scene, with the tag “This unknown soul met an unknown fate.” Your task in Return of the Obra Dinn is to figure out this key information, who the person is and how they died. But wait, that’s not quite true either. We know who shot him, thanks to the conversation at the beginning of the scene—or at least we can infer. It was the captain. Thus we can replace that field too, so now it reads “This unknown soul was shot with a gun by Captain Robert Witterel.” We can also assume the man holding a gun is the captain in question. Obvious, right? That’s as far as we can go though. We don’t know who this man was, or why he was shot. Exit the scene, and you’ll notice a door’s opened and two more bodies have been revealed. And thus we proceed, dipping into the crew’s final moments, entering their fates, and trying to unravel people’s identities. 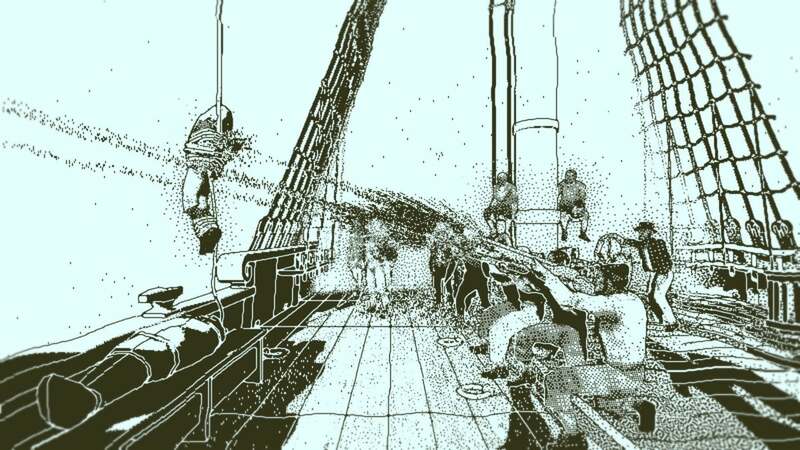 Return of the Obra Dinn features maybe 50 of these death scenes in all, and your goal is to uncover the fates of all 60 crew members, whether they were shot, stabbed, clubbed, drowned, fell ill, fell overboard, or maybe even—if they were lucky—escaped with their lives to some foreign land. It’s not easy. Sure, that opening scene names the captain outright, and we can be pretty confident in that conclusion. Many of the background crew take a lot more work to nail down though. The rank and file are almost never referred to by name, and are often barely relevant to the (loosely constructed) story being told. It takes a keen eye to pair names with some of these faces, even ones you’ve seen a dozen times in myriad scenes. I’m loathe to spoil the solutions, even by obliquely referencing some clues, because Obra Dinn’s magic is in solving those tiny mysteries. It is, as I said up top, a detective story. A real one, requiring actual inductive reasoning on your part instead of holding your hand through a series of preordained events. The book only validates your entries in groups of three, and while you can brute-force a few of the identities later in the game it’s always more satisfying to logic your way through it, revisiting old scenes and looking for clues in the ways groups interact, or reexamining old dialogue now that you’ve uncovered the identity of speaker, hoping that development might lead to key information about another. That process of examination and re-examination brings you oddly close to the crew of the Obra Dinn though. Many of them never talk, never play much of a role at all, but I found myself recognizing the full 60-person crew by the end. “Oh yeah, that’s the rigging expert who’s always hunched over,” or “That’s the man with the knit cap and the excellent rifle aim.” Even when you can’t put name to faces, you start to feel a kinship with this ill-fated gang. 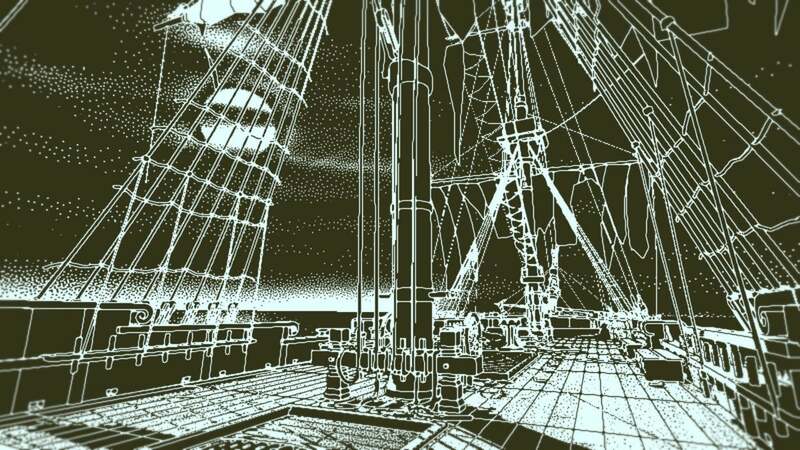 And that’s despite the fact Return of the Obra Dinn is done in monochrome, a throwback to the technical limitations of the Macintosh and other computers of the era. 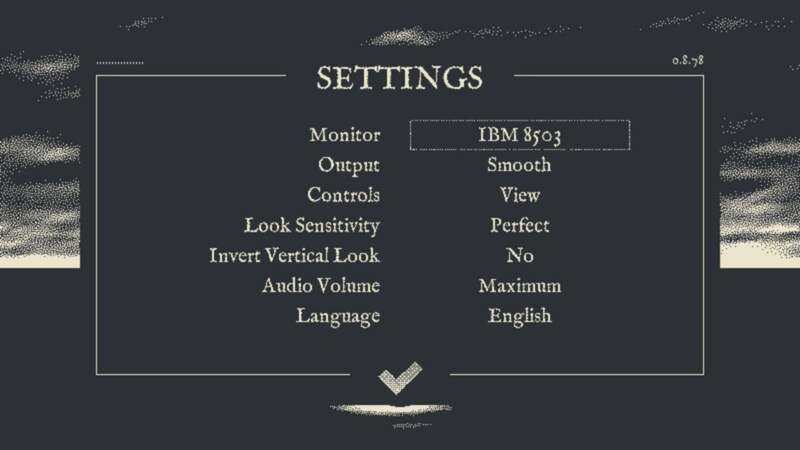 In fact, you can switch between various iconic color schemes in the options menu, from the blue-tinged Commodore 64 to the rich black of an IBM 8503 monitor to the amber of a Zenith ZVM 1240. It’s all the more impressive you can recognize individual faces, given the self-imposed constraints here. It’s a really cool style too, in my opinion. Some might disagree, and I could certainly see the appeal of an Obra Dinn rendered in full color. I find the dithered monochrome look striking though (especially in motion), and found my imagination automatically filling in the gaps as I played. What presumably started as a solution to the problem of creating 3D art on an indie budget is nevertheless a unique and eye-catching look in its own right. Some final kudos also to the voice actors and whoever did the music. It’s a game review cliché to throw in a note about those aspects at the end, but I don’t want to minimize their impact either. Obra Dinn features a surprising amount of voice acting, in multiple languages, and it’s vital to note that the performances are good enough you can easily match the voices to the characters, even though you never actually see anyone talk. And the music is just delightful, transposing sea shanty elements into a variety of instrument voices I didn’t necessarily expect, thus capturing the adventurous tone of the Obra Dinn without feeling too trite. Return of the Obra Dinn doesn’t hit the same emotional heights (and lows) as Papers Please, but it’s a fantastic puzzle game with an equally unique hook. It took me about six hours to puzzle my way through the scenes enough times to nail down everyone’s identity, and to give you an idea: I sat down thinking I’d play about an hour, then ended up doing the whole game in one go. Honestly I think that’s a great way to do it, if you can. It helps you create and hold onto a mental map of the entire crew, without forgetting any of the particulars. Regardless, I think it’s well worth experiencing. There’s something refreshingly weird about the whole endeavor, a reminder of how offbeat indie games can be and the risks they can take. That attitude’s been a little lacking the past few years, as the indie scene turned into a gold rush. 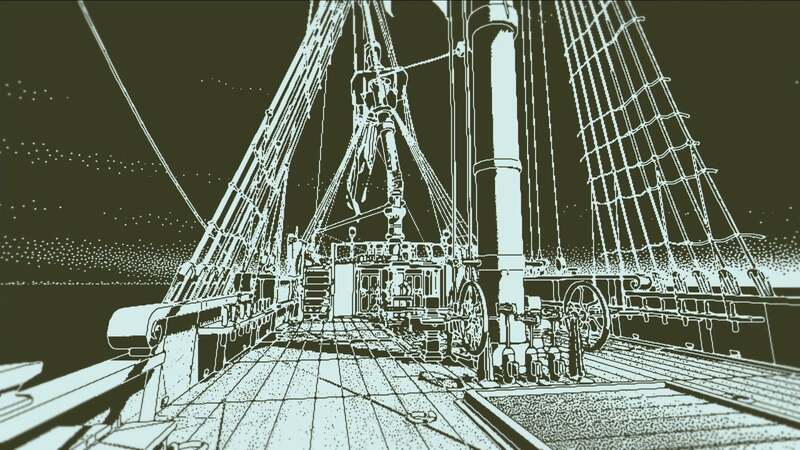 I love when something like Return of the Obra Dinn comes along and reminds me, even briefly, how many ideas are still unexplored. 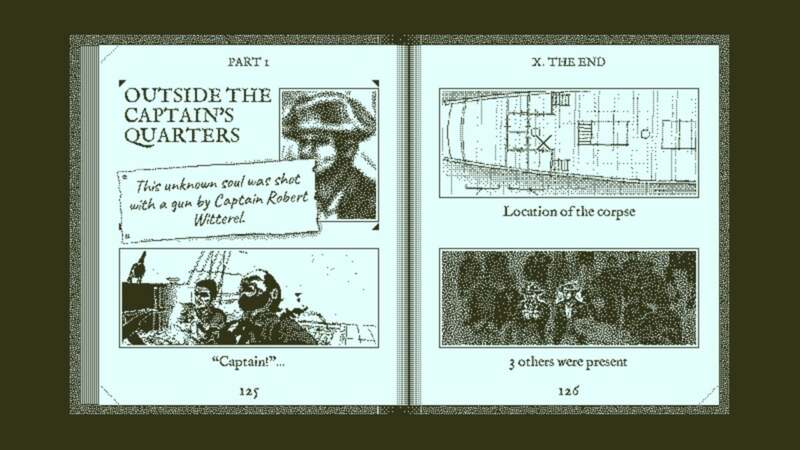 This story, "Return of the Obra Dinn review: A phenomenal detective story invoking old Macintosh adventures" was originally published by PCWorld.